Although not exactly new (it was three years old a couple of weeks ago), the Epic Cafe is becoming more and more of a hot spot in Lee Vining. Serving paninis, salads, baked goods, specials and more, it is many locals’ favorite place to eat. 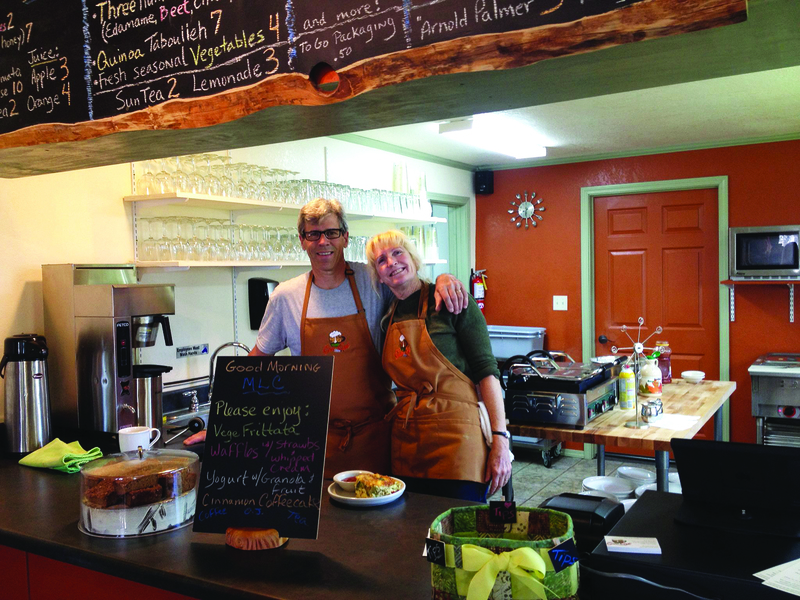 Linda and David Dore opened the Epic Cafe three years ago on the grounds of the Lake View Lodge (on your left as you approach Lee Vining from the south, right before Mono Market) through an agreement with the Banta family that runs the motel. Linda says she’s wanted to open a cafe for at least 20 years, so when a suitable space finally popped up, the Dores jumped on the opportunity. “When I was able to lease this building, it really became a true inspiration [to open a cafe],” Linda says. Before the Dores took it over, the building was a small coffee shop that even locals didn’t often visit or even know about. Now, it is a bustling local gathering place – and that’s before the opening of Tioga Pass. Once the annual influx of tourists from the Central Valley begins, it gets a whole lot more busy.